In honor of these friendly marine animals, here are some of our favorite facts about dolphins. By the end of this article you will appreciate these amazing creatures even more! Dolphins are well-known for their extraordinary hearing, but did you know: they have no sense of smell? 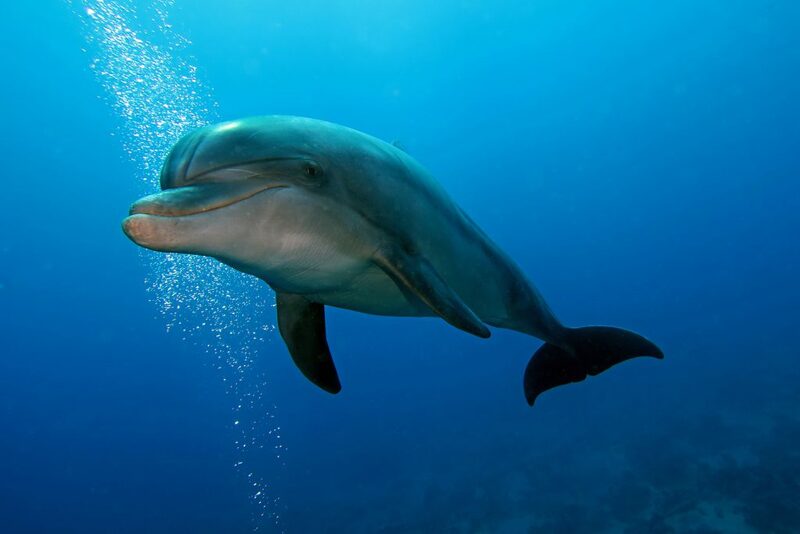 Dolphins have olfactory tracts, but lack olfactory nerves. In case you’re wondering, “if dolphins can’t smell, do they have a sense of taste?” Yes, but they can only taste salt. Dolphins may be the second-most intelligent mammal after humans, judging by brain-to-body size. Dolphins can recognize themselves in a mirror, and have unique names. Dolphins, like other sea mammals, don’t drink the seawater they swim in. Instead, dolphins hydrate using water from their food. The blood and fluid of a sea creature is roughly one-third as salty as ocean water. The US Navy’s Marine Mammal Program began in 1960 and was declassified in 1992. 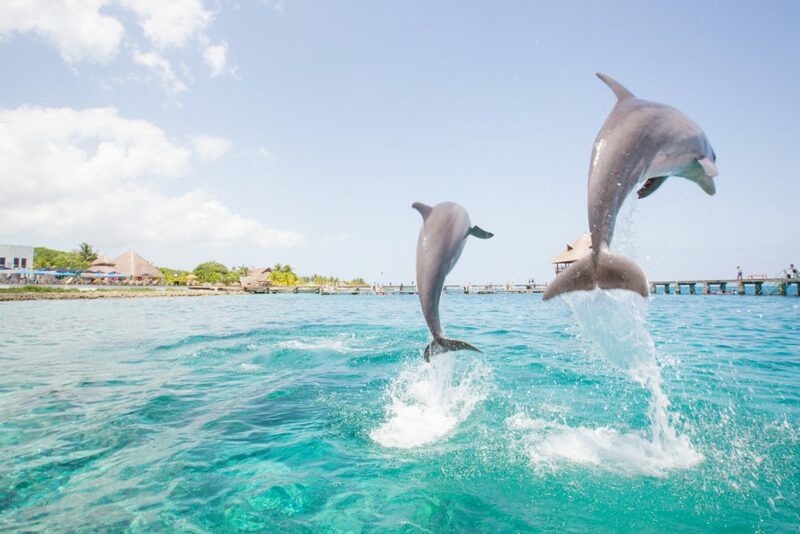 The Navy studied how dolphins use sonar to detect objects underwater, and trained them to deliver equipment to divers underwater and retrieve lost objects. The U.S.S.R. conducted a similar program. According to Frontline, dolphins trained by the Soviet Navy were later used for therapy with autistic and emotionally disturbed children. Learn more about the Mammal Marine Program. The average cruising speed for a bottlenose dolphin is 3-7 miles / 5-11 kilometers per hour – roughly as fast as a human can walk or run. When necessary, they can swim up to 20 miles / 32 kilometers per hour. 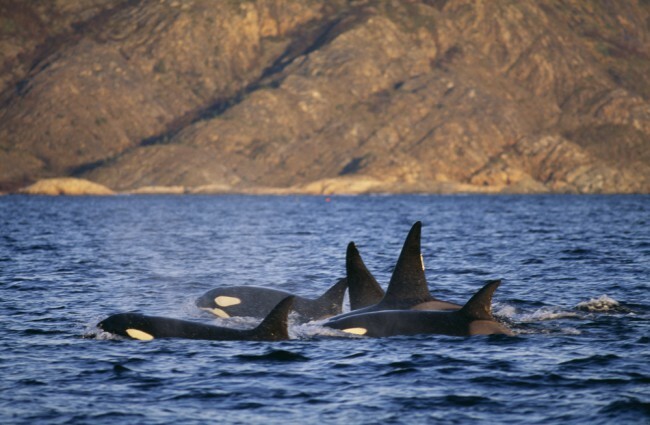 Orcas have been clocked swimming 29 miles / 46 kilometers per hour. A dolphin can have between eight and 250 teeth – used for trapping their prey, which they then swallow whole. 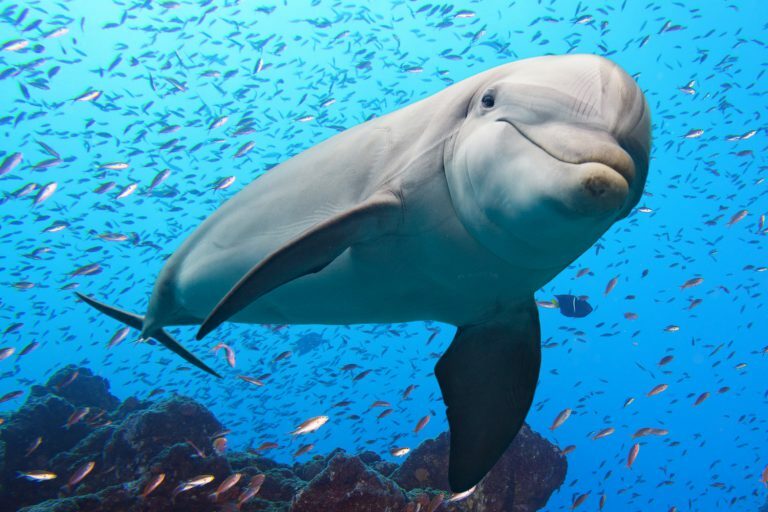 A bottlenose dolphin has between 80 – 100 teeth, and an irresistible smile. Orcas, also known as a blackfish and killer whales, are the largest member of the oceanic dolphin family. The largest orca ever recorded was 32 feet / 9.75 meters long. Read PADI Ambassadiver Birgitta Mueck’s experience diving with orcas. Unlike other mammals, dolphins are born feet, or rather tail first. The mother typically moves to shallow water and is escorted by one or two other dolphins, usually female. Immediately following the birth, the mother helps her calf to the surface for its first breath.